We are an award winning community interest company and are proud to be recognised as achieving some of the most highly commended awards in social enterprise. This award was presented to us in May 2016 for delivering an outstanding project to the Solihull community. Our project “Dig 4 Victory Chelmsley Wood” launched in 2014 and was funded and supported by Solihull Public Health. The project now has over 150 volunteers who grow food together from a replica WW2 Community Garden. The food is harvested and distributed to some of the boroughs most disadvantaged residents every Friday which is now known as “Free Food Friday”. We were delighted to win this prestigious social housing award presented by Optima Housing. The award recognised the work that we had carried out in North Solihull with optima residents, addressing key social issues and making a lasting impact on residents. Our Friendships & Flowers project enabled us to reach areas that had extreme social problems and work with residents to bring about friendships and advocates, all through the great outdoors. Green Enterprise Category. This award was presented for achieving outstanding social value with a clear and strong contribution to the environment as part of its operations. Reclaiming redundant plots of land and transforming them into thriving community gardens impressed Judges who stated “This team should be proud of their contributions. Not only do they enrich the lives of people living in North Solihull, they also enrich the local environment and manage to bring urban residents closer to nature“. RBS Inspiring Women in Enterprise. This award was received in 2012 and was presented in recognition of our support to help women from black and minority ethnic groups start up in business. Our workshops enabled us to give women key skills in pitching, confidence and pricing services. 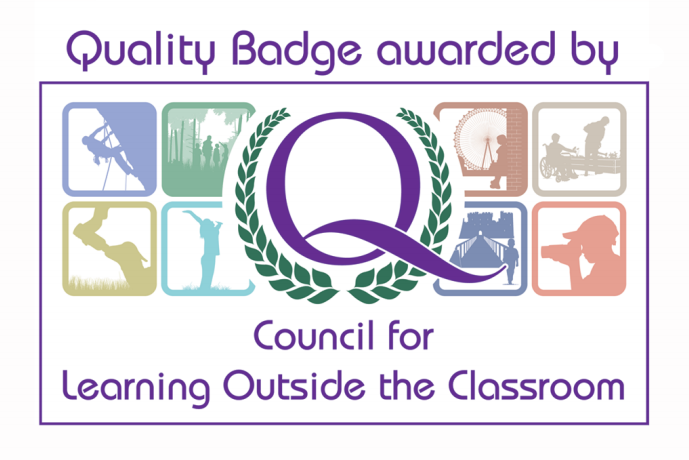 In 2011 Gro-Organic were awarded with a Gold Quality badge, issued by the Council for Learning Outside the Classroom. The badge recognised Wellies2Bellies as being an innovative and dynamic way for children to learn about where their food comes from whilst developing skills in composting, harvesting, food growing and the environment. Elaine Skates, CEO said “Gro-Organic provide an outstanding contribution to outdoor education”.